1 of 2 Juv. Coopers hawks, they were hatched around people and very tame. Found 5 miles NW of Streeter. close-up of the same bird, 5 miles NW of Streeter. 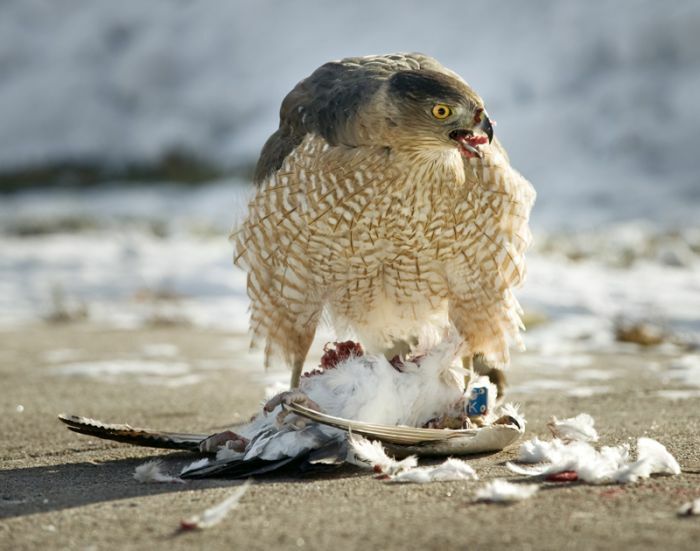 A Cooper's Hawk was seen eating a recent catch in Fargo's Trefoil Park. Photo by Dan Mason. 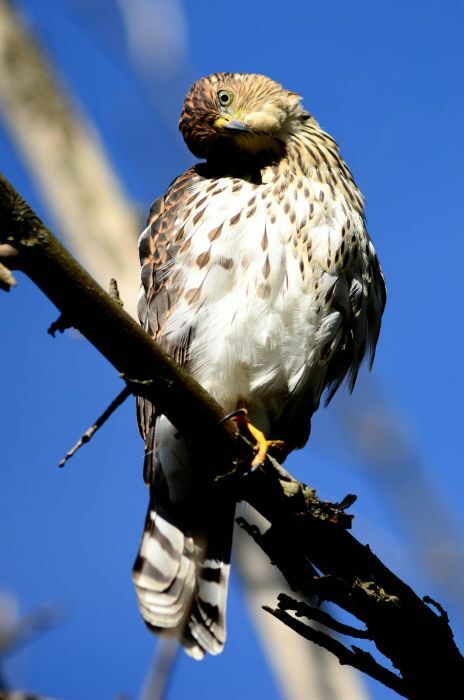 This image of a past 2-year-old female Cooper's Hawk was obtained by Chuck Kimmerle. 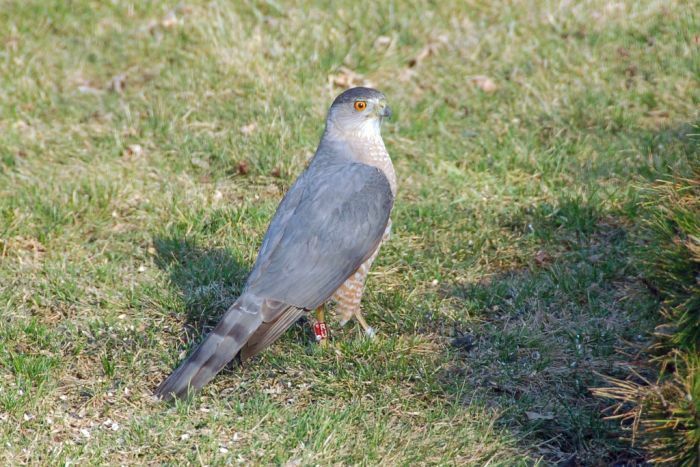 The band information on the left leg indicates that this is a bird banded by Tim Driscoll. In Summer 2008 she fledged young from a nest in East Grand Forks. Taken: 2008-12-19 University of North Dakota campus. 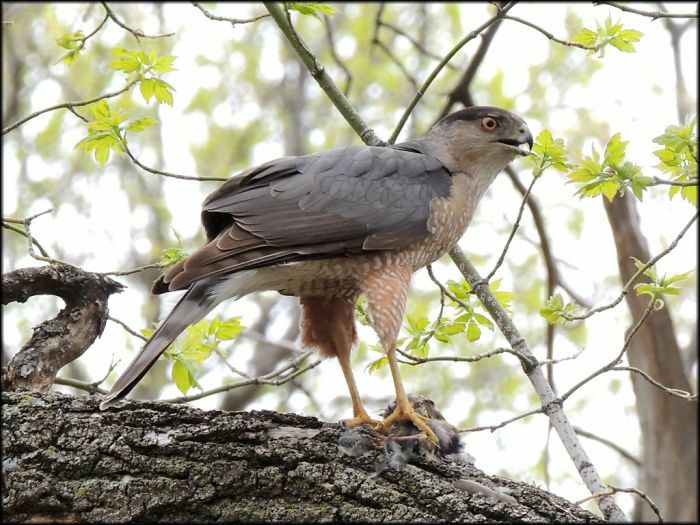 In consideration of difficulty in identifying accipiters, this image provides proof that Cooper's Hawk can be found in mid-winter in North Dakota where most urban accipiters are thought to be Sharp-shinneds. 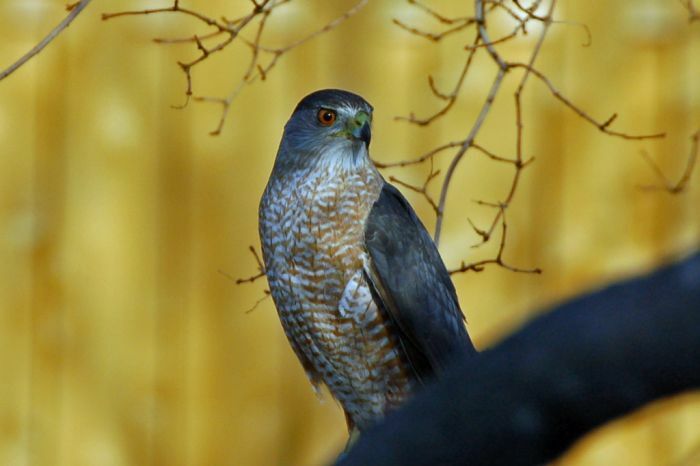 This photo of a banded Cooper's Hawk was taken in Grand Forks by Vic Luiken.